For some reason two of my kids love mac and cheese. They always order it whenever we dine out. Because of this, I decided to make some Mac and Cheese Cups. For the Mac and Cheese, I used a recipe from Allrecipes.com, which called for 1 10.5 oz can of condensed cream of mushroom soup, 1 1/4 c milk (I used 1 cup), 1/2 c shredded cheddar cheese (I added 1 cup), and 1 1/2 cups macaroni (pre-cooked). After cooking and draining the pasta, I mixed it with the mushroom soup, milk, and cheese, added in some chopped Canadian bacon (you can add chopped ham, bacon, veggies, etc.) and scooped the mixture into a muffin tin. I topped with more shredded cheddar cheese, and baked for 30 minutes at 350 degrees Fahrenheit. 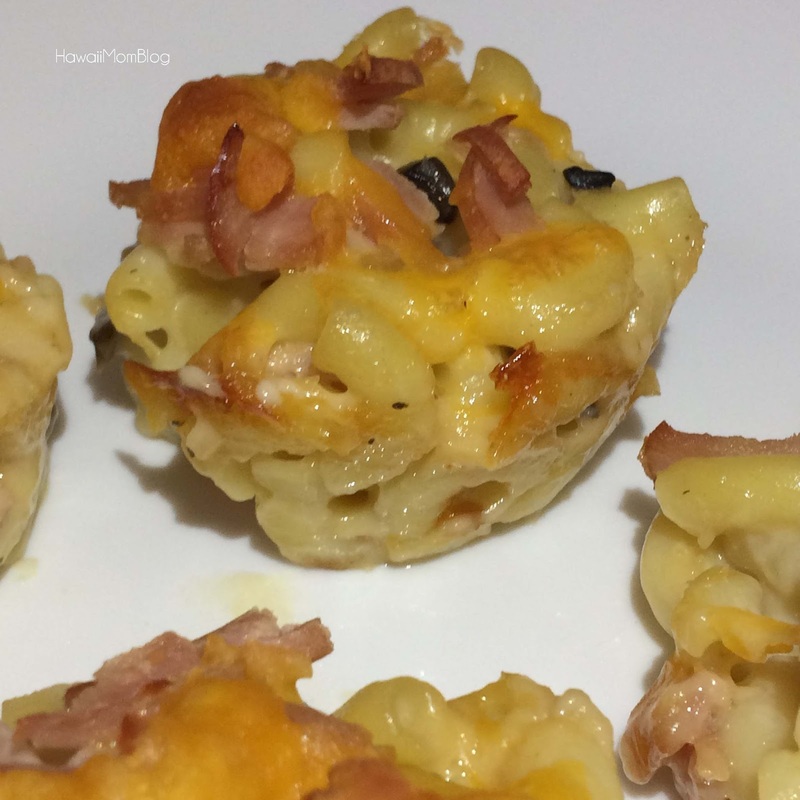 Let sit for at least 15 minutes before serving, to make sure the mac and cheese set nicely into "cups." Mac and Cheese recipe found here from Allrecipes.com.